The Cinderella Collection is your little girl’s dream. 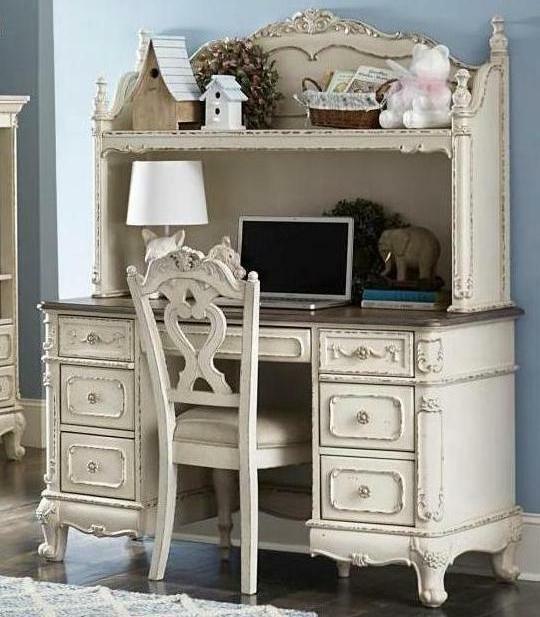 The Victorian styling incorporates floral motif hardware and traditional carving details that will create the feeling of a room worth of a fairy tale princess. There are three available finishes: Ecru white, dark cherry and antique white with grey rub-through, that wen paired with the multitude of case pieces, allows versatility of placement and decor within your available space. FEATURES: Ecru White / Dark Cherry / Antique White Finish ~ Victorian Style ~ Floral Carvings Accents ~ Floral Motif Hardware ~ Dovetailed Drawers ~ Metal Glide.